Packaging Dimensions 1.3 in. x 1.3 in. x 0.8 in. 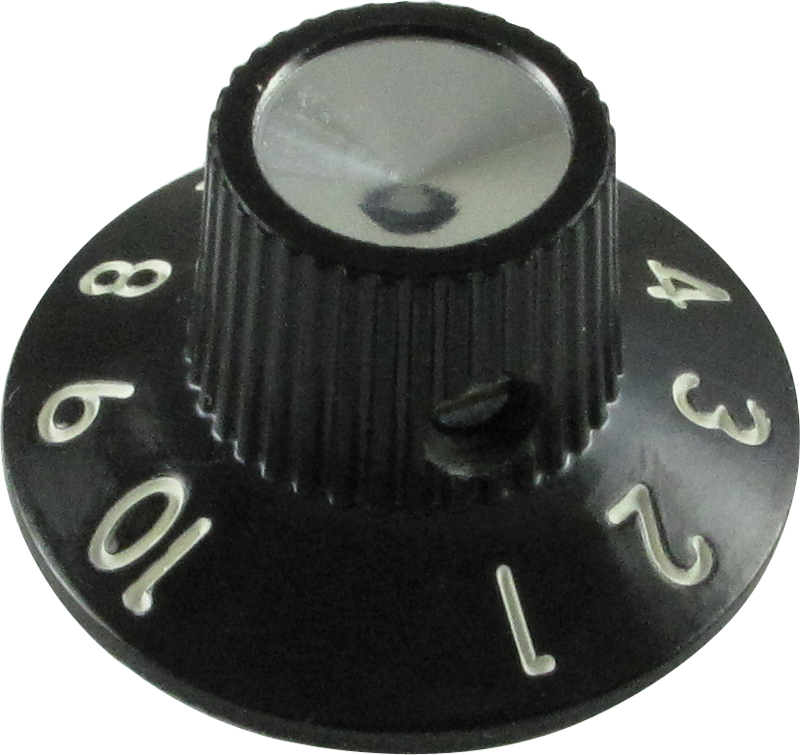 The Skirted knob with set screw was a perfect replacement for the broken volume knob on my 78 Princeton reverb. The rest of the knobs are push on but the push/pull volume knob must have a set screw like this one. Replaced the old and mismatched knobs on my 1979 Fender Bassman 100. They fit perfectly with no issues at all. Well built knobs, fit perfectly, good quality at a reasonable price. Great communication with Antique Electronic Supply and quick delivery. Highly suggested. Great replacement knobs for my 71 Twin Reverb. Exact reproduction of fender knobs, heavy plastic, set screw, no junk. The knob does not go on straight on a knurld split shaft. Otherwise it looks great. Got it as a replacement for a Music Man knob. Did not realize Music Man knobs go 0-10 while Fender knobs go 1-10. Otherwise. nice knob. Asked by Anonymous on May 9th, 2016. These would be the best recommendation as far as I am concerned. 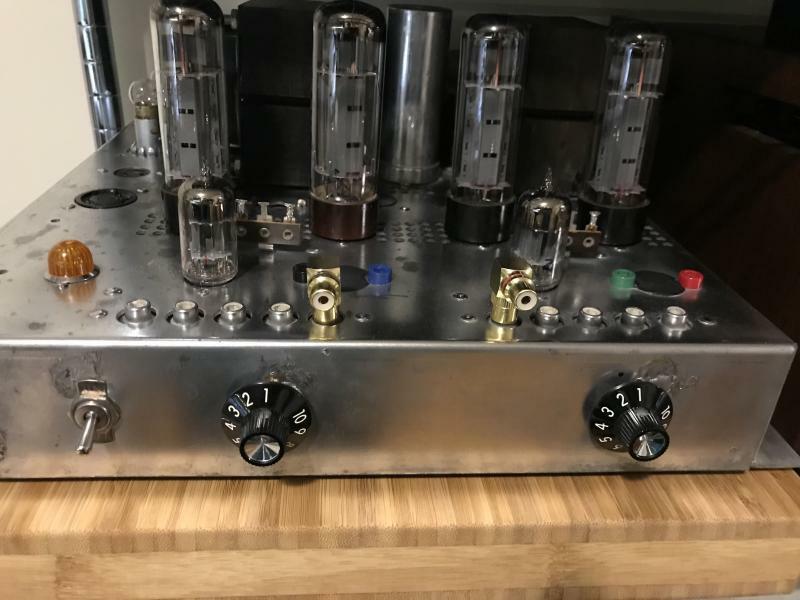 They are slightly smaller and these are what I replaced the missing knobs on my 70's Twin with and they looked spot on. Asked by Anonymous on June 19th, 2017. If you ordered a knob and it did not come with a screw, please contact customer service at: custservice@tubesandmore.com. Asked by Anonymous on December 21st, 2017. Asked by Anonymous on June 11th, 2018. These knobs are 1.18" (30mm) in diameter.